The fight against online counterfeit merchandise is an ongoing one in China. The latest move by China’s regulators obliges online retailers to do more to fight against online vendor fraud. The fight against counterfeiting has always focused on penalising individual vendors responsible for these sales; now the platforms they sell on will also be held liable. China’s keen to change its reputation for being a hotbed of online fraud and intellectual property theft. This year, online trade is likely to represent around a third of all retail sales in the PRC. Time then to improve regulation of the online industry. China’s political leadership is also keen to bring microbusinesses – the tiny vendors operating via social media platforms – into the tax system. The authorities have also made significant moves to make it easier to carry out cross-border eCommerce, a major industry in the wider Asia region. The motivation is to clean up eCommerce and stop disreputable vendors holding back growth. With China’s retail landscape now rapidly switching to digital commerce, it’s an attempt to implement better oversight and regulation – particularly of tax. Although the moves to protect consumers and intellectual property rights have been welcomed by consumer groups and brands, for unscrupulous vendors it just means more rules to work around. Marketplaces, in particular, are being obliged to better police the activities on their platforms, as they will be held jointly liable with the vendor for the sales of any fake goods via their sites. It’s going to be easier for consumers to take action against sellers of fake products, and some companies are likely to face an increased number of lawsuits as a result. The new regulations require eCommerce operators to carry out registration and licensing activities. There are new guidelines for resolving disputes and for making payments online. There are also new tax implications. Because the new rules affect how couriers are paid, eCommerce companies face higher labour bills – and in some cases, they need to make up for missing social insurance payments by paying a lump sum. You’ll be affected by the new rules if you’re selling on an online marketplace in China such as the popular Taobao, on someone else’s marketplace platform or via your own website. This also affects businesses selling via social media – remember China is so far advanced with social eCommerce that this business approach captures many vendors. All merchants selling through WeChat or video clip sites will now have to comply with new rules for their business model, including registering their business and paying tax. Courier companies are also likely to be affected, mainly by higher costs. Under the new rules, marketplaces are now forced to better police the goods sold via their platforms as well as retain sales records for an extended period of time. Unfortunately, there’s still a lack of clarity about what vendors should be doing to meet the new rules. It’s unclear exactly what the take-down procedure should be for vendors that find they’re advertising counterfeits. Platform operators still need further clarity on their legal responsibilities. Essentially they’ll need to perform some due diligence before allowing vendors and their products onto the site. There’s been some speculation that the new rules could diminish the dominance of Taobao and popular newcomer PinDuoDuo. It’s thought the legislation may mean the popular consumer marketplaces lose sellers and face an increased number of legal battles. They’ll also have to spend more resources on monitoring the sellers on their platforms, which will reduce their profit margins. Most importantly of all, the small-scale sellers on these platforms will also face a higher tax burden. 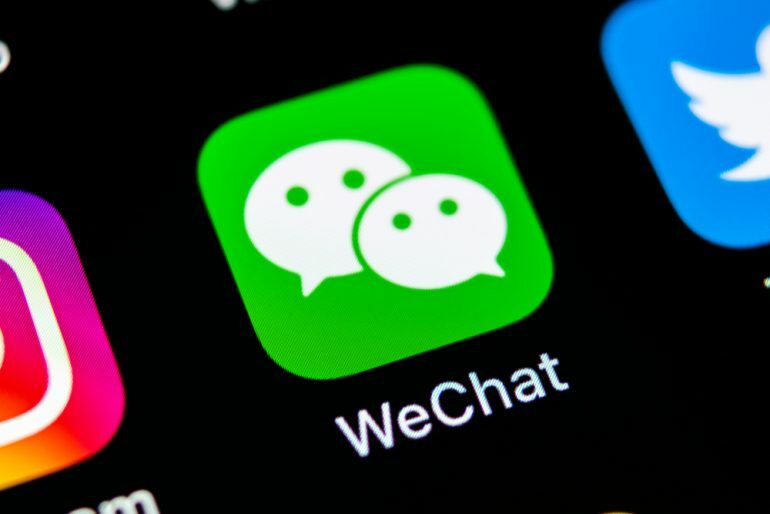 This is likely to discourage some smaller operators – in fact, this already seems to be happening with some smaller WeChat vendors. It’s possible that other platforms could benefit from the new eCommerce rules. It’s likely JD.com will rise up whilst Taobao and other rivals flounder under the new legislation. That’s because JD.com is host to more formal, larger, and branded sellers. Established brands on JD.com are likely to do better at the expense of smaller vendors on platforms such as Taobao. If you’re a conscientious seller on one of China’s marketplace platforms, you’ll need to make sure you’re compliant. Some smaller and less scrupulous sellers are trying a variety of ways to get around the new rules, including using hand-drawings instead of photos to list their products. Make sure your accounts are registered and properly licensed, or you risk being shut down. Generally, the new rules have been well received. Although they aren’t flawless pieces of legislation, they’re definitely seen as a step in the right direction. Hopefully, as a legitimate seller, you’ll benefit from the downfall of less scrupulous rivals and your brand will be better protected in the future.